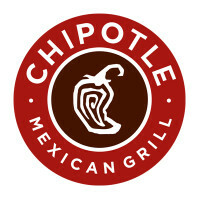 Chipotle is a go-to specialty food shop offering Mexican flavors nachos and burritos. It cannot be classified as a fast food chain as it never uses deep fat fryers and artificial ingredients. It also offers catering services across the United States where the menu consists of virtually everything you could find in their dining place. Chipotle is known for using only high quality ingredients. For a more fun dining experience, food items are prepared right before your eyes. Chipotle had its humble beginnings as a boutique burrito shop in Boulder, Colorado before it spread to over 2,000 locations in the U.S., Canada, France, Germany and the U.K.
Chipotle was founded by Steve Els in 1993. McDonald’s Corp., is a major investor since 1998 when the restaurant chain only had 16 stores. Two Meat Spread Price per person. 20-200 people order requirement. Chipotle Catering service is suitable for just about any event, whether small or big. It offers options that are hassle-free as they allow your guests to do the mixing and matching of their choice food from the menu. Guests will also surely admire your choice because of its healthy options. Chipotle takes pride in cooking fresh and avoids artificial and frozen ingredients. It uses traditional method of cooking and totally disregards deep frying. A create-your-own taco option is a popular choice for most events. You can choose up to three meat choices, including chorizo, sofritas, barbacoa, and chicken. A healthier option is fajita veggies. Placing your order at Chipotle Catering can be done by calling 1800 CHIPOTLE (244-7685) or by personally going to their local restaurant near you. Online ordering is also available. You may click here to place your order. To make it even easier, you may download their mobile app that works both for iPhone and Android. Ordered food are for pickup. Indicate in your order as to your preferred date and time. It currently does not offer delivery, but the management is working on it due to high demand of customers requesting it. Since food at Chipotle is readily available, same-date order is acceptable for small groups. But for parties over 20 people, you will have to give your local restaurant at least 24 hour notice. Chipotle Catering has several options that will best suit your event needs. It is perfect for any party requiring as few as six or as many as 200. For events on the fly with limited amount of space, Chipotle Catering offers burritos by the box. Chipotle Spread option, meanwhile, is a best fit for fun parties as it allows your guests to create their own burritos and tacos. Budget per person for Burritos by the box starts at an affordable price of $8.75, while Chipotle Spread ranges from $12 to $13.50. Ordered food are neatly packaged for pickup. The Chipotle Spread option comes with a manual for easy set-up and for your guests to enjoy. Table cards are also included to label many of the items. Prices on Chipotle catering food menu are reasonable and compare favorably with other restaurants that do not offer the same level of quality.